Just confirmed today via a video posted by Xbox Live’s Larry Hryb (A.K.A. 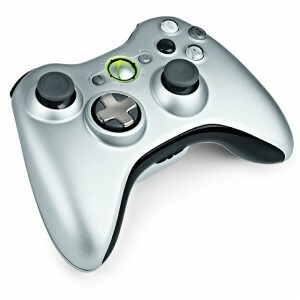 Major Nelson) the newest Xbox 360 controller will have an updated (transforming) D-Pad controller and will come in matt silver color. The new design reflects feedback from Xbox gamers who did not like the D-Pad design. The result is a D-Pad that raises up with a twist into a plus button instead of disc. The controller also features concave analog sticks and gray A,B,X,Y buttons. Sony and Nintendo will have to come up with their own transforming button (if they want to) as this new D-Pad design has been patented. The new Xbox 360 controller will release Nov. 9 and will only be available with the Play & Charge Kit for $64.99. The controller may release in Europe sometime in February, 2011.